Before you get on the road, it’s important to make sure that your RV is performing properly. At Mazur's Total Automotive, we are dedicated to helping you keep your RV running smoothly during long cross-state trips or anything else you have planned. Locally owned and operated, we are focused on providing the same professional RV repair and RV maintenance services you would receive at a dealership – but at a much more affordable price! 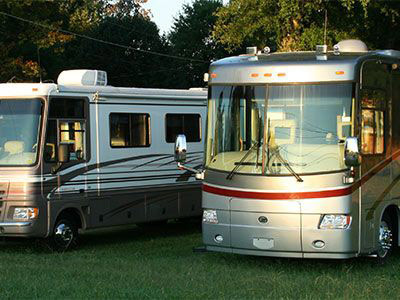 Howell, MI area RV owners know that we are one of the few local shops that has the appropriate diagnostic tools and equipment, high quality parts and large lifts needed for RV repair service. Our team of ASE certified technicians has the knowledge and experience to handle any repairs your recreational vehicles needs. Major RV repairs can often be prevented by having regular maintenance performed on your recreational vehicle. We are dedicated to ensuring that your RV is prepared for your long road trips so that your family is comfortable and safe, and getting the most out of your investment. To extend the life of your vehicle, it’s important to keep up with things like RV roof maintenance to prevent leaks, RV brake inspections and RV generator service. You don’t have to go to the dealership for great service – Mazur's Total Automotive can handle all of your RV maintenance and repair needs so that your home away from home operates at the high level of performance you expect! All of our RV repair and maintenance services are backed by a 24 month/24,000 mile warranty, so you can get back on the road with confidence. Give us a call today, or schedule an appointment online, to find out how we can help with your next RV repair.